Our Watersheds Study Program allows students to enjoy the pleasures and challenges of a river expedition in the wild, remote and beautiful canyon country of the desert southwest. 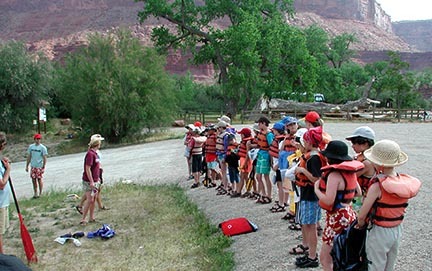 During their adventure on the river and exploring side canyons, students examine the connections between humans and the river environment and learn how to care for natural systems. Students actively participate in all aspects of their wilderness river expedition including learning river skills, navigation, safety, and etiquette. Days are filled with a combination of time on the river, hiking, personal time, and adventure. Check out a brief safety video before jumping on board!